Tag Archive | "forced labor"
A Thai fishing boat along Koh Samet, an island in the country’s eastern seaboard. Source: Mongabay, Lies, Deceit And Abduction Staff Thailand’s Fishing Industry. Photographer: Philippe Gabriel. Imagine a pirate boat, surrounded by miles of unending water. Exhausted, scared people trapped aboard that floating prison, forced to work up to twenty-four hours nonstop for little or often no pay. They are living in inhumane conditions only on rice, parts of fish that no one else would touch, and unclean, unhealthy water. They are held in a cages, regularly beaten, forced to take methamphetamines to keep them working long hours, and sometimes killed for working not fast enough or for trying to escape. These execution-style killings are done in a variety of horrifying ways including electrocuting or tying the slave “by his limbs to the bows of four vessels, so that the ocean waves [will] tear the worker’s body apart.” Having no glimpse of hope to be ever free, they are desperate because even risky escapes are rarely successful: corrupt law enforcement officials often return fleeing slaves back to the ships for a fee. Imagine the dark and chilling refrigeration area on this pirate ship where caught fish are stored along with the corpses of killed slaves. Now imagine a shrimp farm in Thailand, where the farmers raise shrimp feeding them slave-caught fish that pirate ship supplied. Once the shrimp grow, they are exported to food manufacturers and retailers around the world, including the United States’ major food chain distributors such as Santa Monica Seafood, Stavis Seafoods, Thai Union and end up in supermarkets such as Costco, Wal-Mart, Kroger, Safeway, and Albertsons. Did you buy shrimp lately? The price for that “plate of seafood” on your table costs more than the dollar value you paid for it. The price is horror, the desperation of forced laborers, the tears of their mothers and children. As Hlaing Min, a runaway slave, one of a few who have successfully fled from a pirate boat, expressed: when Americans are eating seafood, “they should remember” the slaves, the slaves whose bones could easily form a mountain – “an island, it’s that many” – of bones of forced laborers that are under the sea. It is not a fictional horror story. It is a reality, the reality of modern-form slavery in Thailand. Thailand, one of the world’s major seafood exporters and a key seafood supplier of United States, is remarkable in its forced labor practices. Human rights abuses in the Thai fishing sector are not a new phenomenon; deeply embedded in a commercial global supply chain, these abuses did not receive required attention up until recently. Unsurprisingly, Thailand is the only country in the world that voted against a U.N. international treaty intended to stop forced labor. Thailand’s current fishery laws, including the Fisheries Act, B.E. 2490 (1947); the Act Governing the Right to Fish in Thai Waters, B.E. 2482 (1939); and the Thai Vessel Act, B.E. 2481 (1938) are all woefully outdated. Despite the Thai government’s numerous assurances to the international community to clean up its fishing industry from human rights abuses and its boosted legislative efforts in regards to protection of workers employed within the fishing industry (including Thai Anti-Trafficking in Persons Act, B.E. 2551 (2008); Labor Protection Act, B.E. 2541 (1998); the Recruitment and Job-Seekers Protection Act, B.E. 2528 (1985); the establishment of more strict labor regulations on fishing vessels; the requirement of national registry for illegal migrant workers; and the establishment of shelter facilities for victims of human trafficking), uninterrupted exploitation of forced laborers is still present in the fishing sector. “The reality is [that] the Thai government’s high-sounding rhetoric to stop human trafficking and clean up the fishing fleets still largely stops at the water’s edge,” Phil Robertson, deputy director of Human Rights Watch’s Asia division explained. Former slaves on Thai-run ships wait processing after being rescued. Source: Mongabay. Photo courtesy of the Labour Rights Promotion Network. Corruption that remains among government and law enforcement officials creates an environment of impunity, especially around human rights abuses of migrant laborers, discouraging the rare surviving victims from pursuing charges against their abusers. Due to virtually inexistent legal protection for undocumented workers and fear of arrest or deportation, most migrant fishers choose to be abused rather than seek out protection from the Thai authorities. Making human rights abuse even worse, there is a history of political and cultural conflict between Thailand and its neighboring countries and, as a result, people in Thailand have little or no concern for the lives of migrants; some of them even “see the abuse as justified.” The exploitation of laborers in the Thailand fishing industry already is “one of the worst examples of human rights abuse in the world today.” Yet the International Labor Organization stressed in its 2015 Report that countless cases of human trafficking and forced labor that were already uncovered are only “the tip of the iceberg in terms of the real prevalence of such abuses” in Thailand. As the U.S. State Department noted in its annual Trafficking in Persons Report (TIP), there are approximately three to four million migrant laborers in Thailand, most of them from Burma, Cambodia, Laos, Vietnam, India, China, and Uzbekistan. According to the Environmental Justice Foundation, more than ninety percent of people working in Thai fishing industry are migrant workers. Yet the total population of fishermen is unknown because most migrants do not go through a registration system. In its 2014 report, the U.S. Bureau of International Labor Affairs has reported that shrimp in Thailand is produced by both child and forced labor. TIP puts Thailand at Tier 3, the lowest level of its report, meaning that Thailand does not comply with the Trafficking Victims Protection Act’s minimum standards and is not making substantial efforts to comply. Even though U.S. companies have become increasingly aware of slavery and human trafficking in the Thailand supply chain, as of 2015, United States shrimp demand has increased its production in Thailand by twenty percent from the last year, expecting to import at least 250,000 metric tons of shrimp. Though the United States has a large domestic shrimp industry in the Gulf of Mexico, U.S. shrimp are more expensive than the shrimp from Thailand. Thus, driven by the goal of keeping their prices for shrimp low and so to obtain more profits, U.S. retailers import shrimp. In fact, ninety four percent of the shrimp consumed in U.S. is imported farmed shrimp. Some advocates of ending human rights abuses suggest that retailers should simply boycott suppliers who engage in slavery practices. Yet corporations have pointed out that this would not solve the problem because less-ethical buyers would line up to take their place or pointed to a lack of alternative sustainable seafood. Furthermore, because of the complicated nature of the global seafood chain, the use of trafficked labor is easily hidden in the process. As Huw Thomas, head of seafood procurement at Wm Morrison Supermarkets explains, tracking the source of seafood products is very difficult because the seafood industry is incredibly complicated and it may sometimes require tracing more than ten steps that separate the corporation, which bought the farmed seafood products, from the origins of fishmeal that go into the shrimp. Still some human rights organizations have already simplified that tracking for corporations: “[i]f you buy prawns or shrimp from Thailand, you will be buying the produce of slave labour,” Aidan McQuade, director of Anti-Slavery International, explains. Only a few resources and programs currently exist that help to identify links in the seafood supply chain where slavery occurs. Humanity United (HU), a San Francisco-based foundation, recently designed a campaign to combat slavery and human trafficking. The campaign includes four aspects: (1) focusing on targeting a single industry in a single country (HU chose Thailand fishing industry as a target); (2) chartering a coordinated strategy by cultivating a network of partners (HU encourages its partners to engage in work and not just simply sign checks to the organization); (3) interacting with the corporate business interests (HU confronts human rights abuses and helps companies to improve labor conditions of Thai workers); and (4) monitoring and confirming whether labor conditions in the seafood industry are actually improving (HU plans to pursue certification platforms and incorporate its assessments of work conditions into the certification process). On Costco shelves as of August 18, 2015. Source: Case3:15-cv-03783. Everyone in Thailand and every corporation doing business with Thailand is keenly aware of slavery and human trafficking issues in the seafood industry supply chain. Indeed, all leading retailers “have factored these issues into their social responsibility approaches.” For example, in 2014, several corporations, including Costco and Tesco, announced publicly that they do not tolerate human trafficking and slavery and promised to scrutinize their supply chains, avoiding suppliers that engage in human rights abuses. Yet, violating its own public statements and its Supply Chain Disclosure, Costco continued to sell slavery-tainted shrimp to consumers until fall of 2015. Frozen shrimp and shrimp in wonton soup that Costco was selling were supplied to Costco by Thailand company Charoen Pokphand Foods Public Company Limited (Charoen Pokphand Foods) or C.P. Food Products, Inc. (C.P. Foods). Those Thailand-based companies, as Guardian reported in June, 2014 after its six-month investigation, bought processed fish from suppliers that operated or, in turn, bought from pirate fishing vessels manned with slaves; C.P. Foods fed that processed fish to the shrimp it farmed prior to selling it to Costco. Furthermore, in 2014, Bob Miller, C.P. Foods’ UK managing director, already admitted that the company knew “there’s issues with regard to the [raw] material that comes in [to port].” However, Costco’s corporate practice of dealing with bad actors remained intact. While activists alone cannot eradicate human rights abuses in the seafood industry, when the local Thai authorities fail to rein them in and U.S. corporations remain passive in cleaning up or monitoring their supply chains, U.S. consumers, who are unwilling to support slave labor practices, can help. On August 19, 2015, Monica Sud, one of Costco’s customers, commenced a California consumers’ class action against Costco and its Thai shrimp suppliers. Sud filed three claims for relief. The first claim is against Costco, Charoen Pokphand Foods, and C.P. Foods for unlawful business acts and practices. In regards to Costco, the lawsuit alleges that Costco for several years knowingly sold shrimp from Thai suppliers that farmed those shrimp on fish obtained from slave laborers and Costco was aware that the shrimp were directly derived from a supply chain that depended upon human trafficking and slavery. The second claim is against Costco for misleading and deceptive advertising practices, such as despite Costco’s knowledge of human rights abuses in its supply chain, Costco did not advise its customers that its farmed shrimp was tainted by the use of forced labor. The third claim is against Costco for violation of the Consumer Legal Remedies Act, seeking an injunction to bar Costco from selling forced labor produced products, requiring Costco to disclose products in its supply chain that have been tainted by slave labor, and alleging that Costco’s use of forced labor is inconsistent with its California Transparency in Supply Chains Act disclosure. 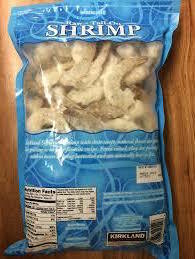 The lawsuit also seeks to compensate shrimp products’ purchasers. The complaint does not allege Costco’s corporate liability for complicity in human rights violations, yet it does so against C.P. Foods, stating that the corporation is directly complicit in the use of forced labor practices and has profited from those practices. Sud is the first consumer class action alleging inadequate disclosures and it set an example, started a new wave of class action litigation against other corporate defendants that have similar issues with forced labor produced products. Class actions already have been filed against Hershey, Iams, Mars, and Nestle. It is also expected that the attorney general, who has authority to enforce the California’s Transparency in Supply Chains Act, will begin filing civil suits against corporations, forcing them to fix their disclosures in compliance with the Act. Furthermore, keeping up with this movement, the Business Supply Chain Transparency on Trafficking and Slavery Act of 2015 was recently introduced into the U.S. House of Representatives and the Senate. The new law will require large corporations nationwide to report any measures they have taken to identify and address human rights abuses within their supply chains. While according to Satasap Viriyanantawani, general manager for the Thai business of Siam Canadian Foods, shrimp buyers in United States can even dictate the price they want to pay to suppliers, giant purchasers, such as Costco, can challenge the system of human rights abuses, forcing change by dictating terms to its suppliers and ensuring the products they buy are not derived from or otherwise created through the use of slavery or human trafficking. However, instead of using its market power to stop slavery in its supply chain, Costco had facilitated it, fueling the cycle of human trafficking and slavery through its purchases of tainted shrimp. If Costco, a corporation with total revenues of $116,199,000 for 2015, does not have the resources to monitor and control its suppliers, then who does? Eliminating human trafficking and slavery from the global seafood supply chain is not an easy task. Yet it is well possible if everyone – including international and national communities, the private sector, and consumers – gets involved and presses for change. As a long-term solution for making a real impact, getting corporations to change their policies and combatting slavery in their supply chains, the international community should create an enforcement mechanism of one model standard to monitor, audit, and certify the integrity of global supply chains. All information regarding each individual country should be required to be shared with the international community. Given the fact that U.S. corporations have “dominant market share” in the world, the corporations should use their position to influence and pressure their suppliers to join an “accountability revolution,” meaning to uphold standards of the international community, enforcing norm-conforming conduct, performing audits of their supply chains, and preventing the cycle of human trafficking and forced labor. It is in the best interest of everyone in the international and national communities to ensure that the price for a “plate of seafood” is the monetary amount and not its current real cost of the desperation and horror of people who were lured into a life of slavery until they meet their watery grave. Ilona Starchak is a 3L law student at the University of Denver Sturm College of Law and the Staff Editor on the Denver Journal of International Law & Policy and the Denver Criminal Law Review.